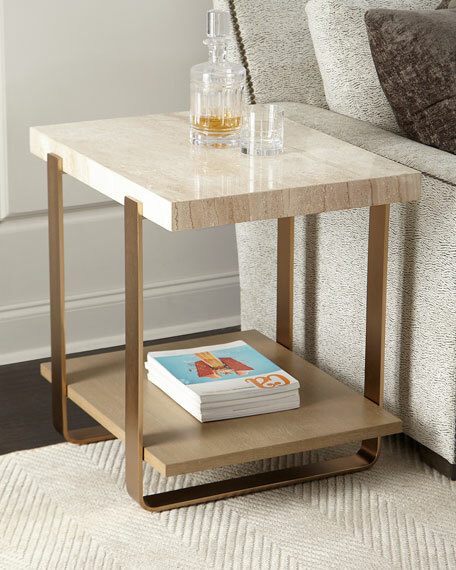 With a slab of polished travertine supported on two wrought metal runners, the end table brings together the timeless beauty of natural materials and the clean versatility of modern design. 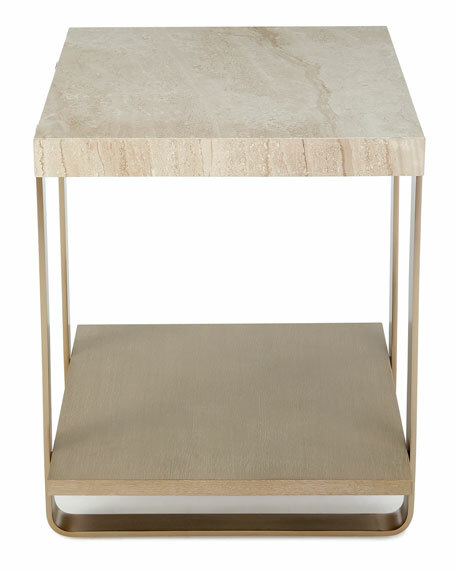 The metal base of the table has a single open storage shelf and is in a rose gold finish. 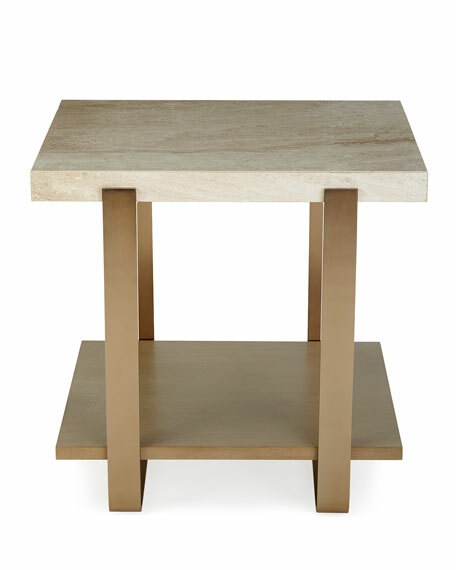 Handcrafted side table with travertine stone top. 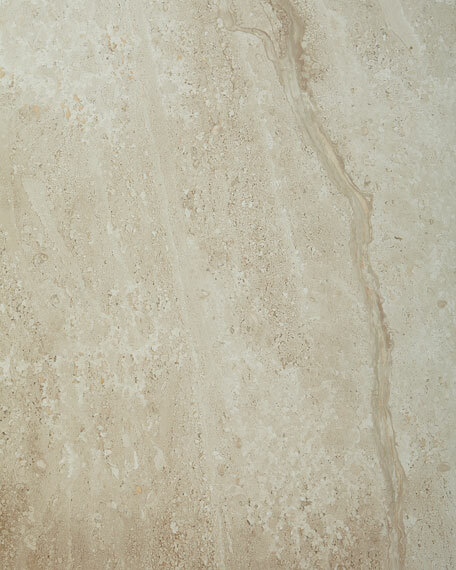 21.8"W x 27"D x 26"T.
Weight limit of 75 lbs. Boxed weight, approximately 116 lbs.